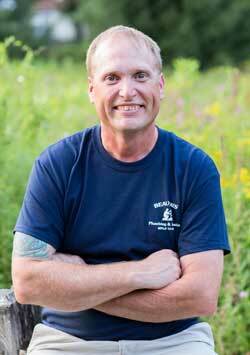 I’m Bill Beauvais, owner of Beauvais Plumbing and Heating since 2005. My company is family owned and operated, handling all aspects of plumbing and heating services for residential and multi-family housing in the southeastern Massachusetts area. Why Choose Beauvais Plumbing & Heating? I have been working as a Master Plumber for over twenty years. In that time, I have learned a lot about quality work and the importance of good customer relationships. Most people would think that being a plumber means fixing pipes—but I know it is more than that. It means being prompt, reliable and thorough with every job, no matter how big or small it is. When you call, you reach me directly. I give accurate estimates at competitive prices. I use the newest technology and keep up to date with improved processes, making jobs faster, easier, and more cost effective over time. After the job is done, I leave your home even cleaner than when I arrived! Over the years, my company has been successful due to professionalism, integrity, honesty and pride in workmanship. I guarantee my workmanship and materials with complete confidence. I am fully insured and employ only licensed and experienced technicians. Read about my services, and contact me today for a free estimate for your next plumbing and heating services needs.